Who posts a pumpkin pie recipe after Halloween and Thanksgiving are over? I DO! This recipe was incredibly easy to make and was absolutely delicious. 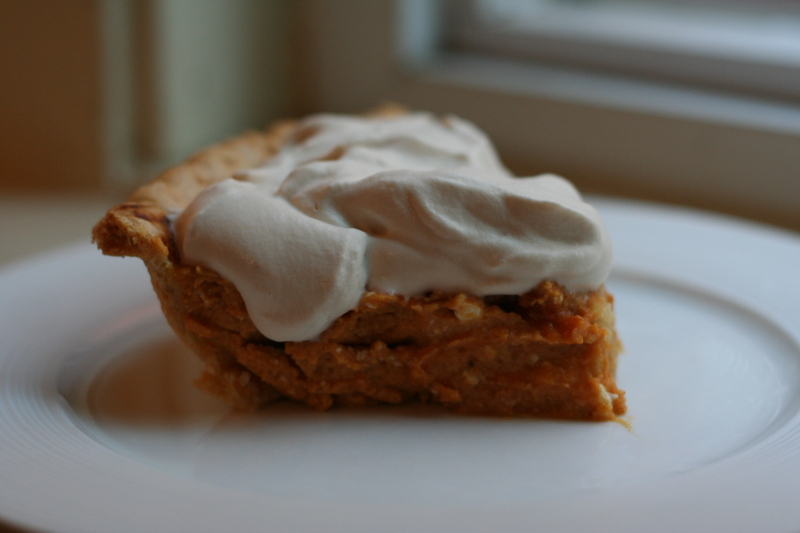 The cream cheese and brown sugar in the pie filling made the pie perfectly creamy and flavorful. 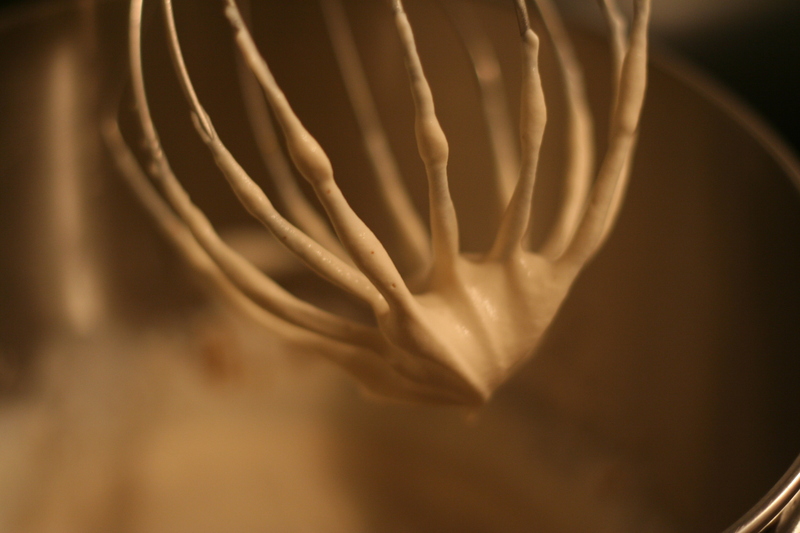 And after one taste of the brown sugar whipped cream, I don’t think I’ll ever make whipped cream without it again! Preheat the oven to 375 degrees F and arrange a rack in the bottom third of the oven. 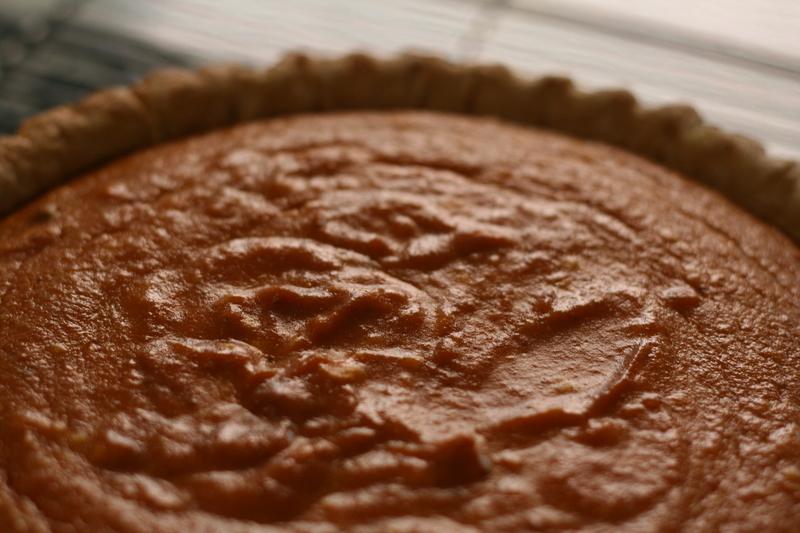 Then, in a medium bowl, combine the cream cheese, pumpkin puree, cream, brown sugar and pumpkin pie spice. Using electric hand mixer, add the eggs, 1 at a time incorporating completely between each addition. Pour the filling into the pie shell and bake on a sheet tray until the filling is mostly set and the crust has browned, about 50 to 60 minutes. The center will still look slightly loose. Remove from the oven and cool to room temperature. In a chilled bowl, beat the heavy cream with a hand mixer until beginning to thicken. Add the brown sugar and continue to beat until soft peaks form. Spread the whipped cream over the pie and serve immediately or hold in the refrigerator for up to 2 hours before serving. Original recipe from Sandra Lee.